There was a period over a decade ago now (yikes) when I was cooking almost exclusively from Sally Schneider’s A New Way to Cook , one of about five cookbooks I owned at the time, a departing gift from my mother when I moved away from home to Philadelphia. While my cookbook collection has since grown considerably, I still find myself returning to A New Way to Cook often to reference a technique or method, to see how Sally made it — the book, if you are unfamiliar, is nearly as comprehensive as the How to Cook Everything books. Recently I revisited her roasted mushroom recipe, which is part of her recipe for coq au vin, which I made once and remember loving, the mushrooms especially. 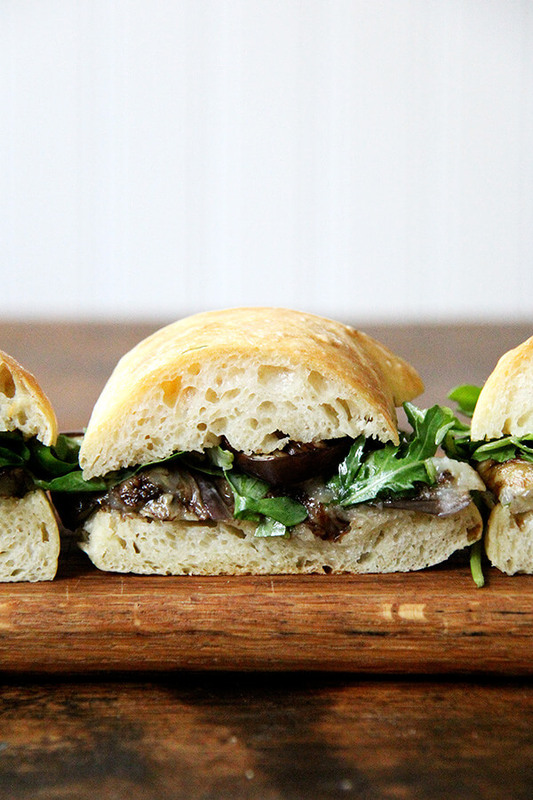 It’s a two-step process — the mushrooms roast first covered in foil — then uncovered until their edges brown. I love the technique because during the initial roasting a flavorful broth materializes, giving you two products for one effort. 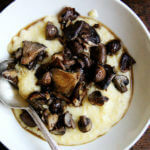 The mushrooms and sauce are especially good spooned over polenta. Read more about the method here. Have a wonderful weekend! 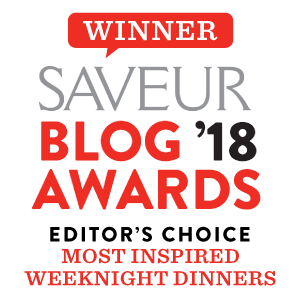 **While Food52 recipes are unavailable for those abroad, I’ve added this one here since I’ve some requests. ** Find the original recipe posting here. Mushroom-roasting method adapted from a recipe in Sally Schneider’s A New Way to Cook; polenta recipe is from the Canal House ladies. For the polenta, put 4 cups of cold water into a medium, heavy-bottomed pot with the 1 cup of milk, if using. Alternatively use 5 cups cold water. Stir in the polenta and the teaspoon of kosher salt. Bring to a boil over medium-high high, stirring often. Reduce the heat to medium-low and cook the polenta stirring occasionally, until it is tender, 45 to 60 minutes. The polenta will swell and thicken as it cooks. If it gets too thick before it’s finished cooking, stir in more water as needed. Stir in the butter. Taste, and add more salt as needed. 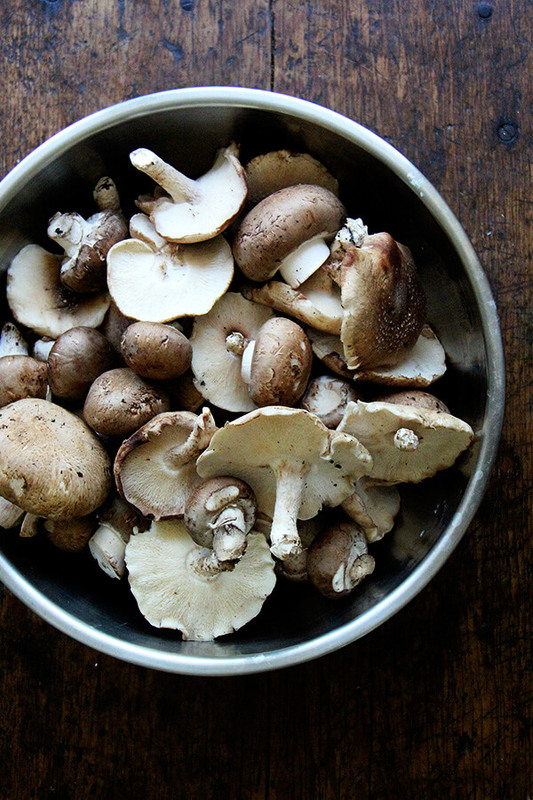 Meanwhile, make the roasted mushrooms: Preheat the oven to 325° F. Remove the stems from the shiitakes (and reserve for stock-making or the compost pile or discard). Trim off the very bottom end of the cremini stems and discard. Quarter the mushrooms. 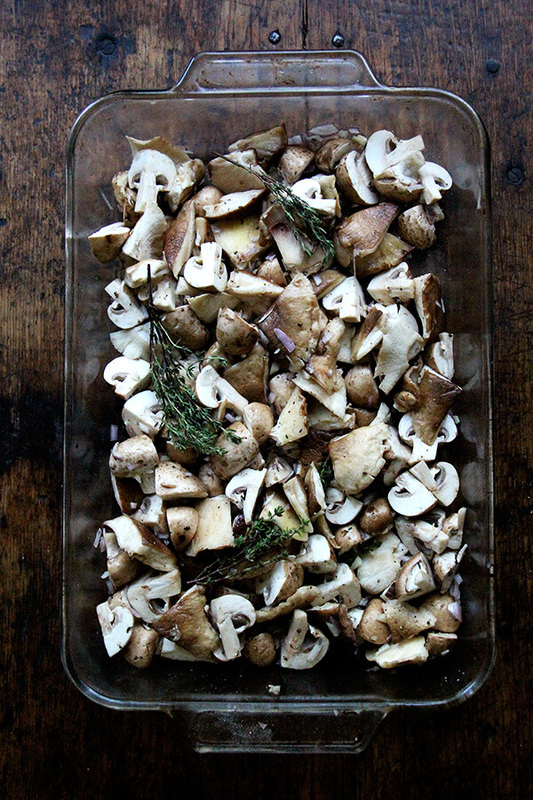 In a 9- by 13-inch baking dish, combine the mushrooms, thyme sprigs, shallots, garlic, sherry, and olive oil. Season with a big pinch of salt and pepper to taste. 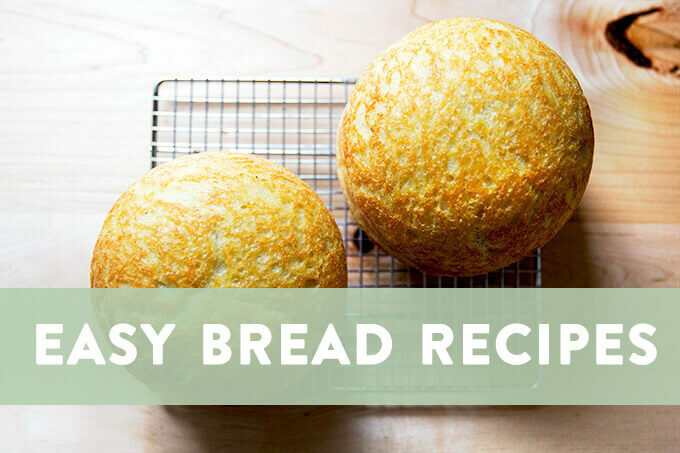 Toss to distribute everything evenly, then spread in a an even layer. Cover pan with foil, transfer pan to the oven, and cook for 30 minutes. Remove pan from the oven and raise the heat to 450° F. Remove the foil. Holding the mushrooms in the pan with a spatula, drain the juices into a small saucepan and set aside. 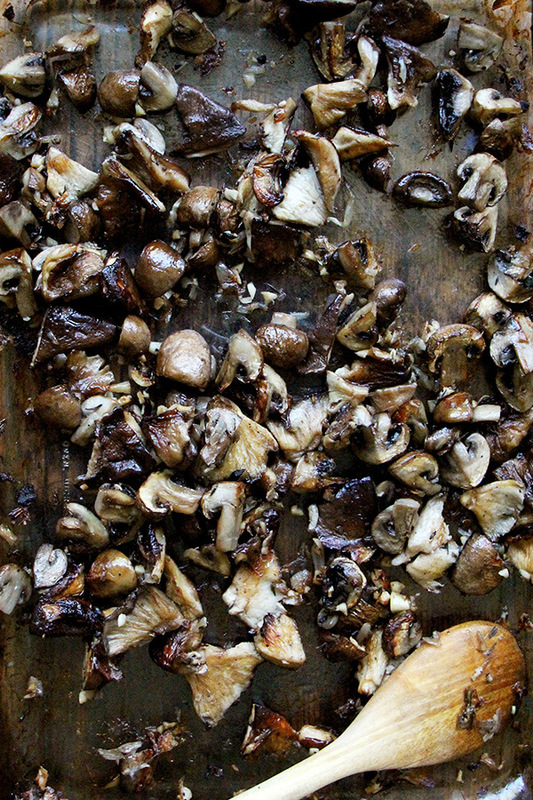 Spread the mushrooms out again, return pan to the oven, and roast until the mushrooms are beginning to brown, 15 to 20 minutes longer, stirring after 10 minutes. Bring the juices to a gentle simmer. Let the juices reduce slowly while the mushrooms finish cooking—they don’t need to reduce by half or any particular amount, but the flavors will concentrate as it simmers/reduces. When the mushroom are nearly done, add the tablespoon of butter to the juices. When it has incorporated into the juices, taste them. Adjust seasoning as needed with more salt or butter to taste. 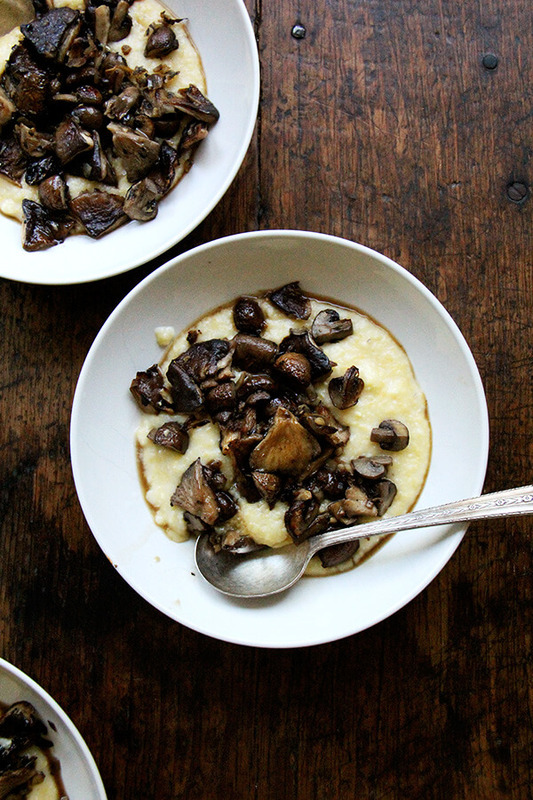 To serve: Ladle polenta into bowls, spoon mushrooms over top, drizzle with sauce. Oh, yum. 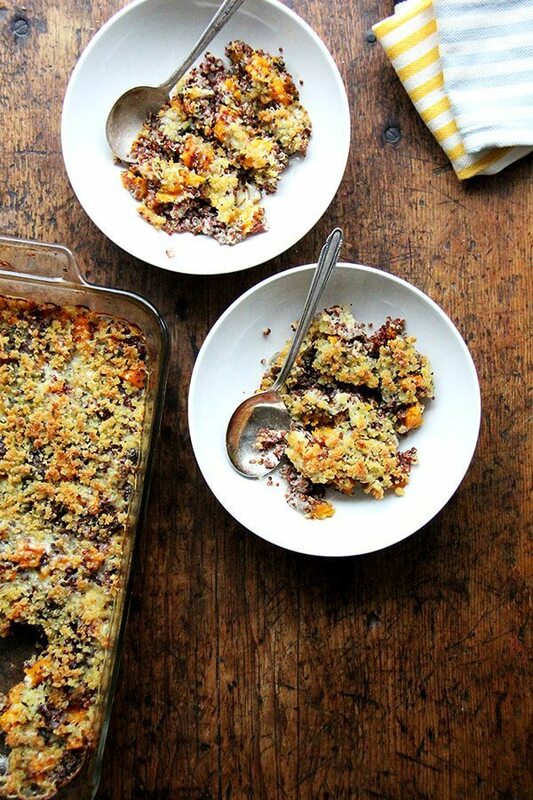 Perfect timing as it feels like fall here today and these seems like a “fall” recipe. Totally … mornings and nights are getting so chilly here. I’m loving it! Oh Ali, this looks so delicious. 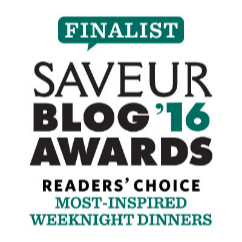 Because of you I bought An Improvisational Cook by Sally Schneider…. I still haven’t tried it….Its 91 degrees in the kitchen without the oven on!…… Once it cools down…. I can’t wait to try this. 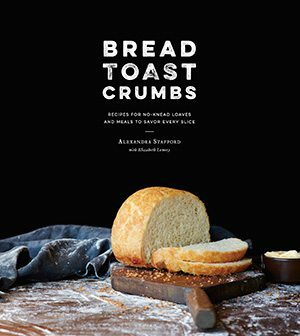 You always write about the best recipes. So great to hear this, Dana! 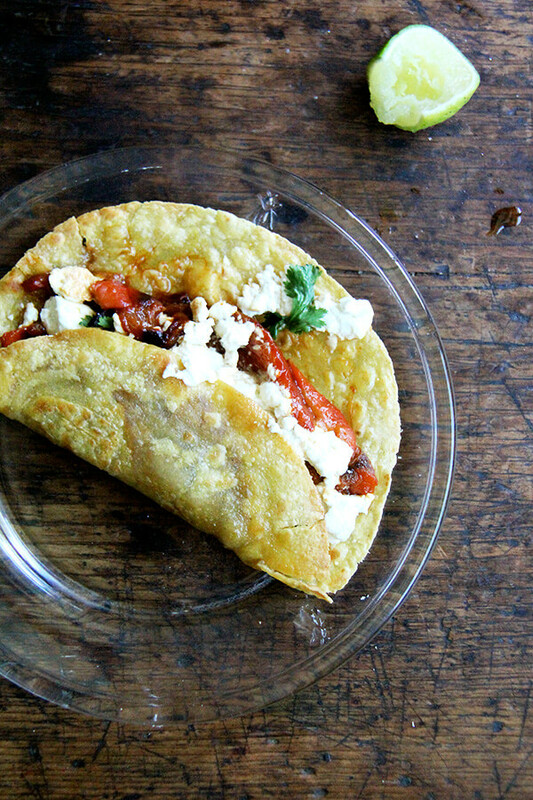 I love An Improvisational Cook — Sally Schneider is a genius. You can learn so much from her techniques and methods. Love her. Oh boy, this is so inviting ! 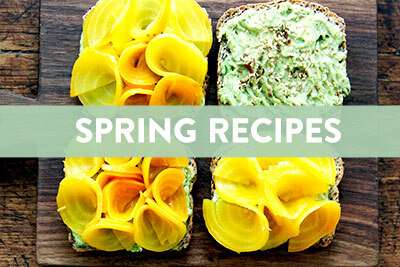 Perfect season for this perfect dish ! And, your photos are great ! Where on the Earth did you get that wooden board ? Thank you! You are too kind. That’s actually my kitchen table 🙂 I love it, too, though it is a total pain to clean … so many crevices. 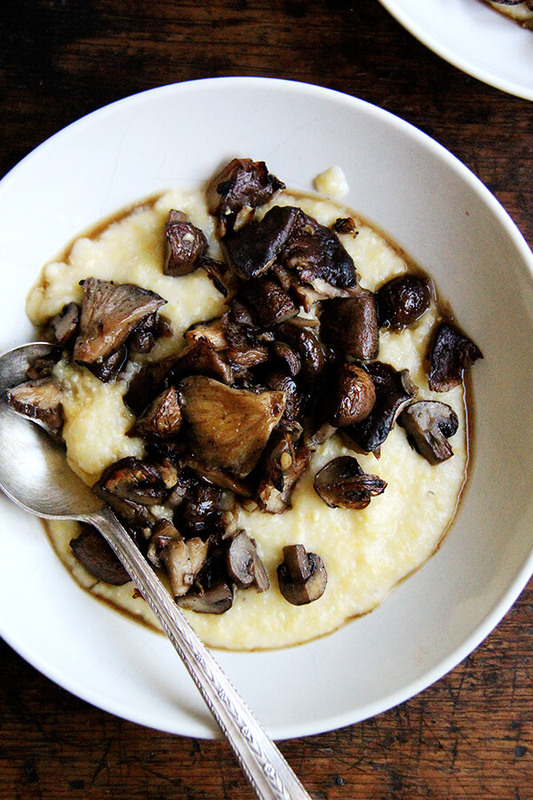 I just made these Roasted mushrooms & creamy polenta for my family and they were a HIT! We devoured every last one of them. YUM. Thank you! Just want to ask if what variety of mushroom did you use on the dish? There plenty of mushrooms and the only ones that I know are shitake and button. Anyway, the whole dish really looks yum! I am in a vegan diet for a month already and your dish looks like a good one to try. Hope you can share some more of these (Looking forward for another quinoan based recipe in your future blog posts). Hi Samantha, I used shiitake and cremini mushrooms — if you can find a variety of mushrooms, that’s best, but if you can’t, a mix of these two work nicely. Button are fine, too!